The Indonesian army has demolished their own icons of a tiger statue in front of a base in West Java after it became a laughing stock online. 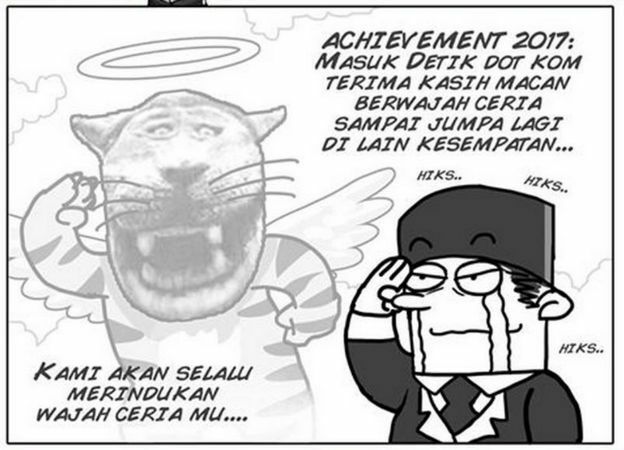 The grinning tiger in a small village in Garut was supposed to be a mascot for the Siliwangi Military Command. 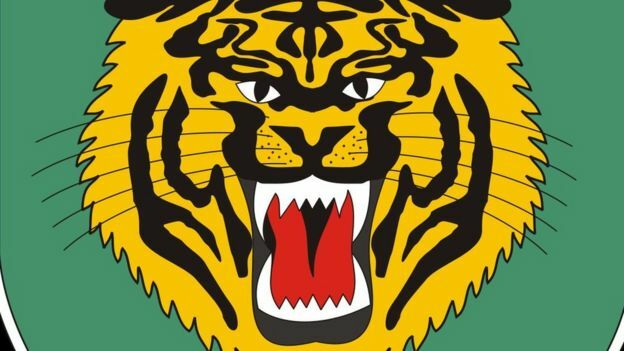 But internet users found it hilarious because it was so different from the fierce tiger on official logos. “I don’t know why, but every time I see its face, I laugh… buahaha,” said one Facebook user. 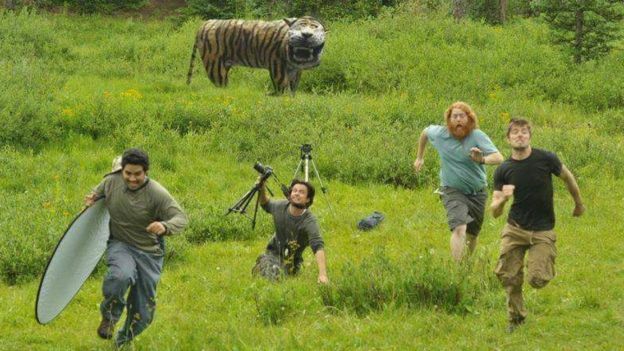 The tiger had been in place for several years, but only recently found internet fame. Vincent Candra told the BBC he had laughed a lot when he saw the picture of the tiger and decided to share it on Twitter. It has since travelled across social media and made its way into the national media. 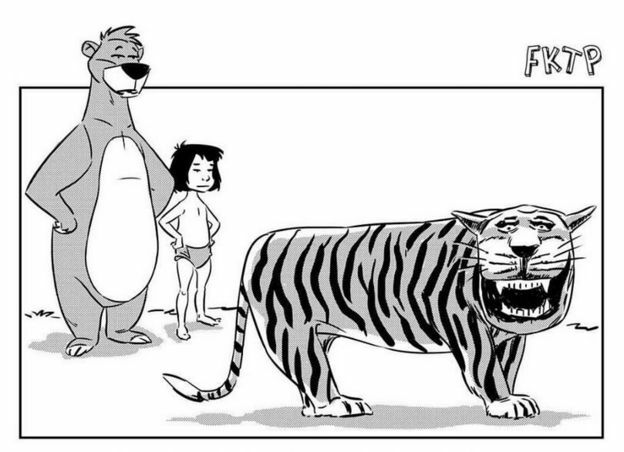 Many have poked fun at the tiger’s cartoonish appearance, while others edited it into film posters and surreal scenarios. 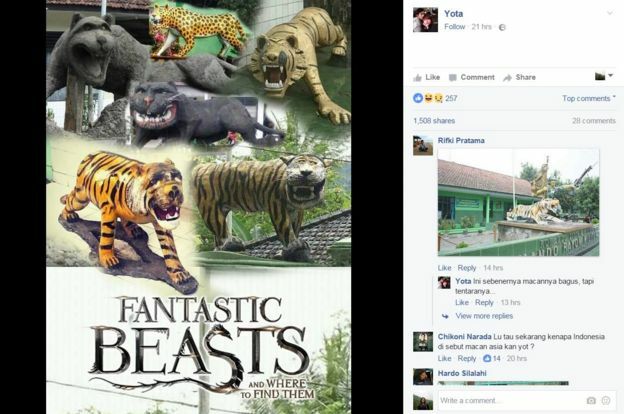 Other people uploaded more weird looking tiger statues they had seen in front of army bases. On Monday, the army moved in to put the tiger out of its misery, demolishing it with chisels. Siliwangi military commander Maj Gen Herindra told the BBC the statue had been “made long time ago in Cisewu district”. People who had been enjoying the humour online instead expressed grief. 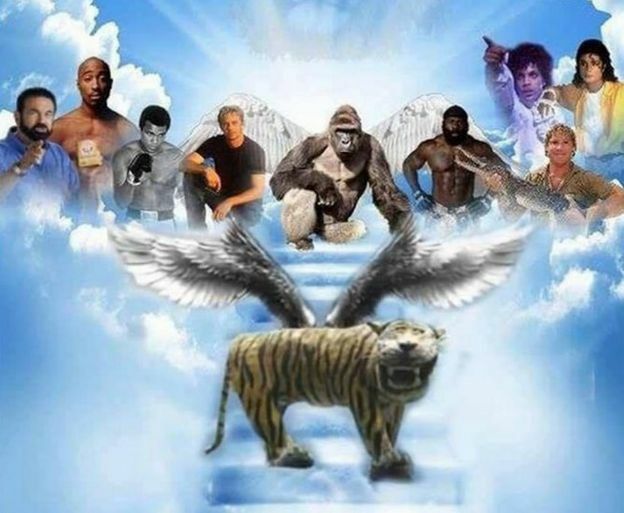 “RIP Cisewu tiger, thank you for entertaining us,” said one Twitter user. One had an alternative suggestion, saying it would have been better to “move it into the zoo, so children can take selfies with it”. A parody Facebook page, Indonesia’s Humour Ministry [or Kementerian Humor Indonesia] said a lot of people were “broken hearted”. As one of first sites to share the photo last week, they said they felt “a bit guilty” that it had now gone. So they made a special “goodbye cartoon” to remind everyone of its unique grinning face. Gen Herindra said the army would be looking at other statues in the region to see if they are “consistent with the original [military] emblem”. “If some of them are not good, we will change them,” he said. But he also promised a new tiger statue would be installed at the Siliwangi base, which was “more similar” to the command’s logo.